If you are a regular reader of my updates you probably feel like you are in Groundhog Day when I, yet again, describe our attempts to fix our crumbling roads. In my last update I told you of the Senate's package which was agreed to and returned to the House of Representatives for their vote. Our package included significant reforms to SC Department of Transportation and the State Infrastructure bank as well as $400 million in recurring funding. Admittedly this was not the ideal solution but was a significant step forward. Regretfully the House not only rejected this solution, but abandoned their initial proposal by offering a third alternative. Unfortunately this latest proposal was a non-starter for the Senate as it stripped out recurring funding for road repairs. Now we must go to a conference committee and attempt to hammer out a compromise. One thing is clear to me, because of political gamesmanship and out of state third party influence, the opportunity for a thoughtful and permanent solution has been severely impaired. Nevertheless, I will promise to work hard for the best possible bill in 2016 and, if necessary, return to Columbia next session determined to pass a real solution to our crumbling roads. For possibly the first time ever, the Senate passed a bill authorizing the shortening of the legislative session. This will not only save millions of taxpayer dollars annually, but it will force the General Assembly to be much more efficient in taking up the people's business. The House, to their credit, has passed this type of legislation regularly over the years so I anticipate we can get this legislation to the Governor's desk shortly. Several years ago, as a result of years of mismanagement, SC State University was facing the very real possibility of closing its doors. 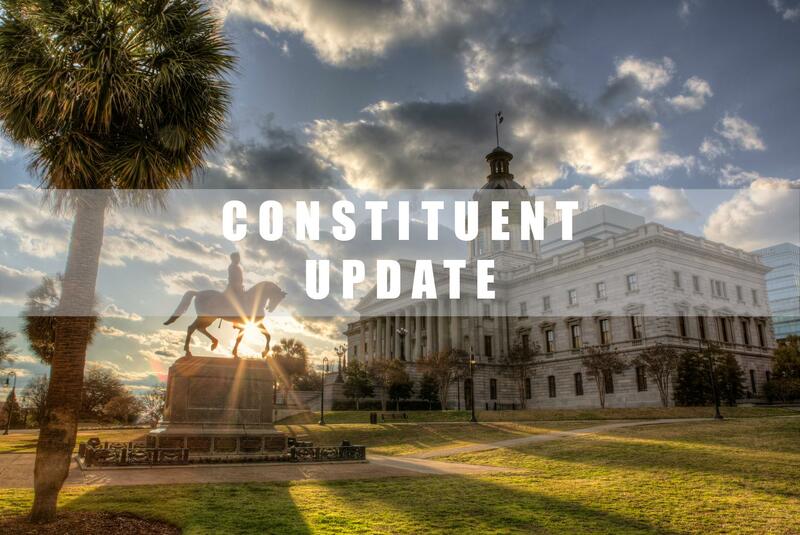 Because the university is an important part of Orangeburg community, and the entire state of SC, the general assembly, on the condition that the entire Board of Trustees be replaced, provided emergency funding in excess of their normal appropriations. Part of that aid was in the form of loans. Since that time SC State's new leadership has significantly improved the fiscal situation at the school and things are definitely moving in the right direction. Please reach out to me if you have further questions about these or any other issues. I am happy to take a deeper dive with you. And as always, thank you for your support. It is a great honor for me to serve the people of Dorchester, Berkeley, and Charleston Counties. I thank you for this opportunity. 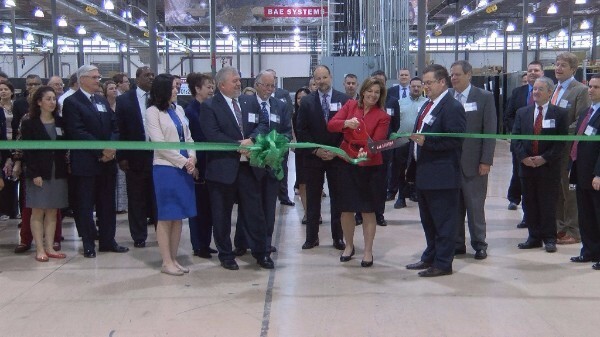 BAE Systems opened their newest facility in Dorchester County last month along with hundreds of new jobs. Workers at the facility reconfigure mission critical military vehicles to both serve and protect our war fighters.